Does planning holiday get togethers leave you feeling scrambled? This Easter, let TAG do the heavy lifting. 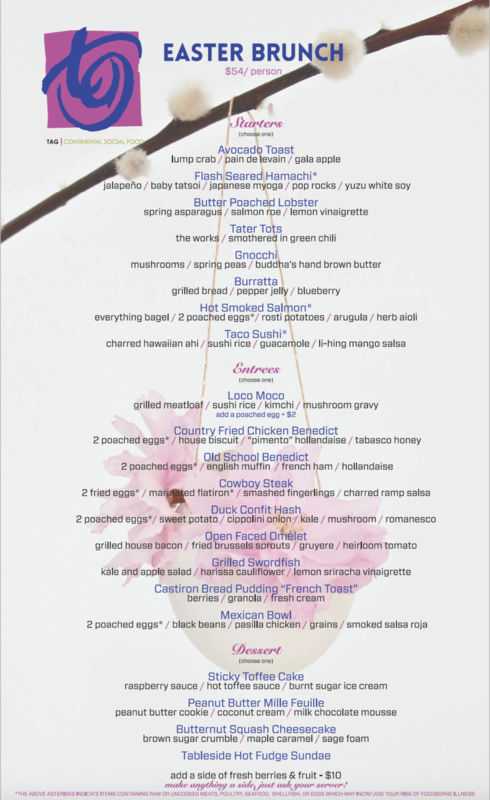 Join us for a three course, $54 Spring feast. Reservations can be made online or by calling our team directly at 303.996.9985. Kid’s options are available for $9.